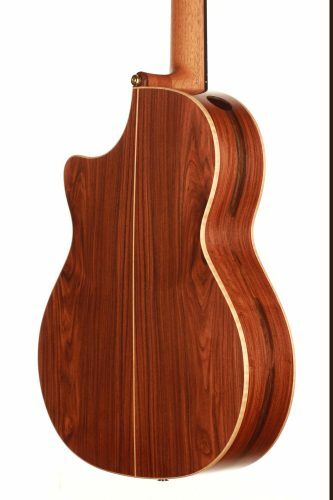 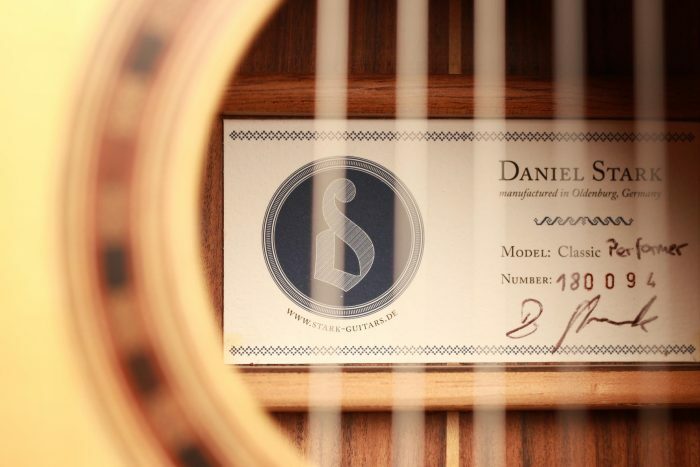 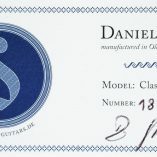 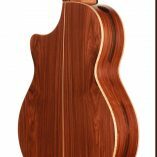 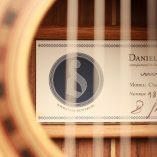 Daniel Stark is a German guitar maker who is known for his modern guitars. 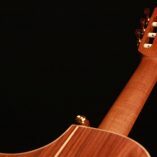 His instruments are played all over the world and have been recorded on more than 25 CDs. 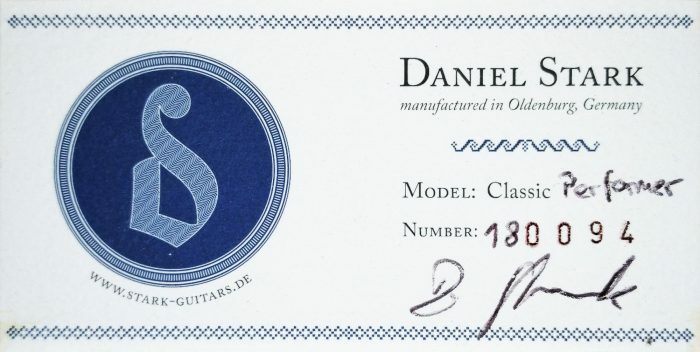 They are very powerful and refined guitars. 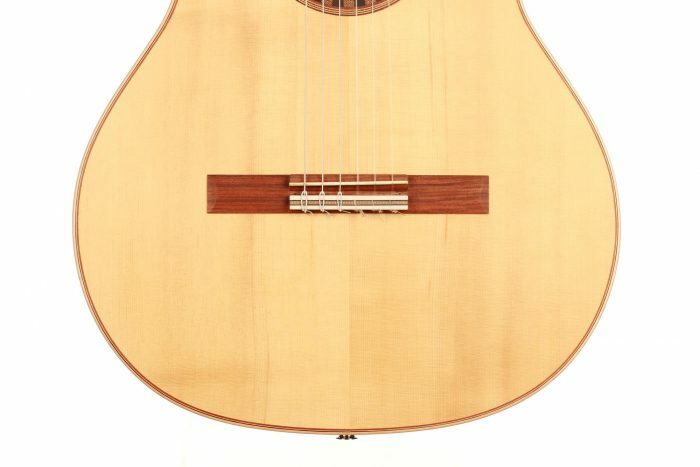 This “Performer” fusion model is ideal for various music styles with or without amplification. 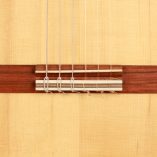 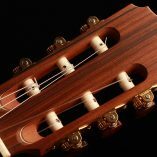 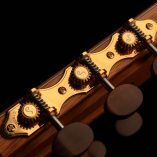 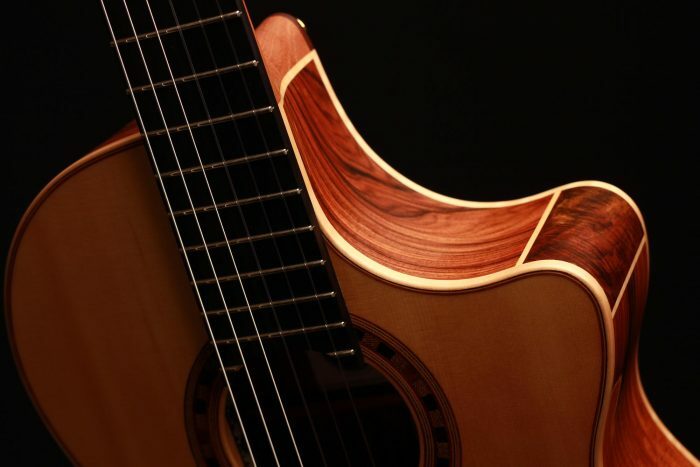 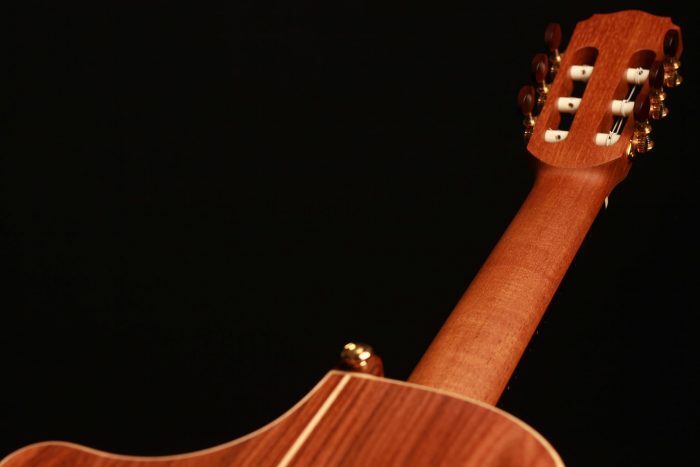 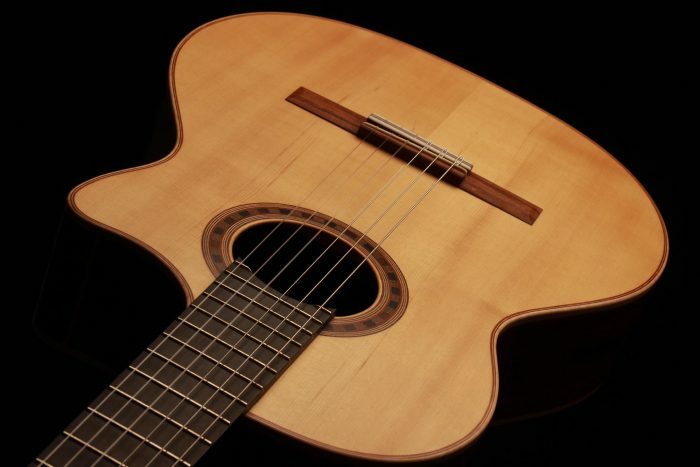 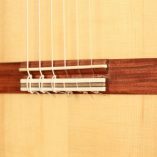 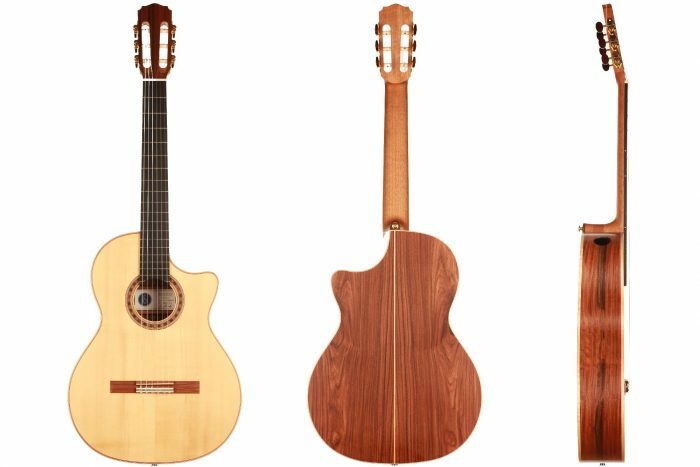 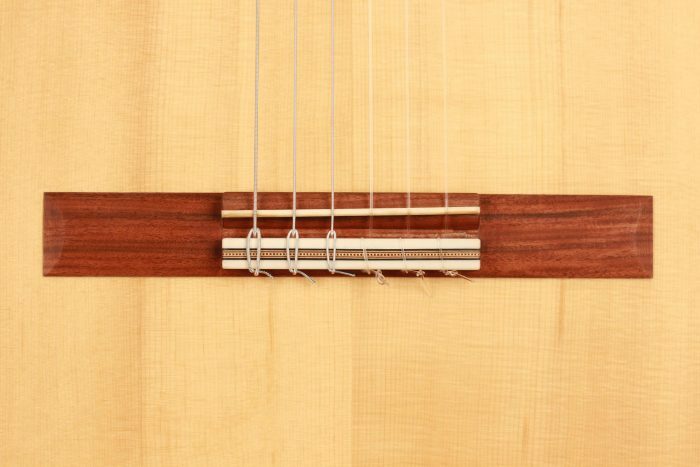 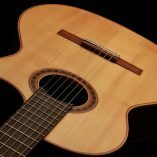 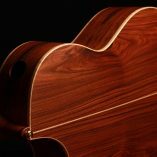 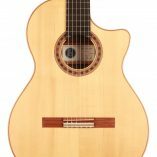 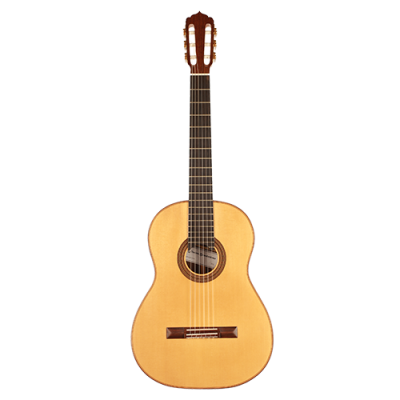 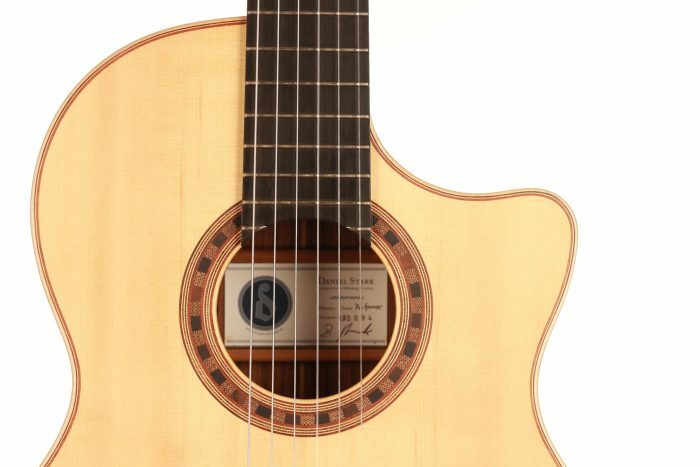 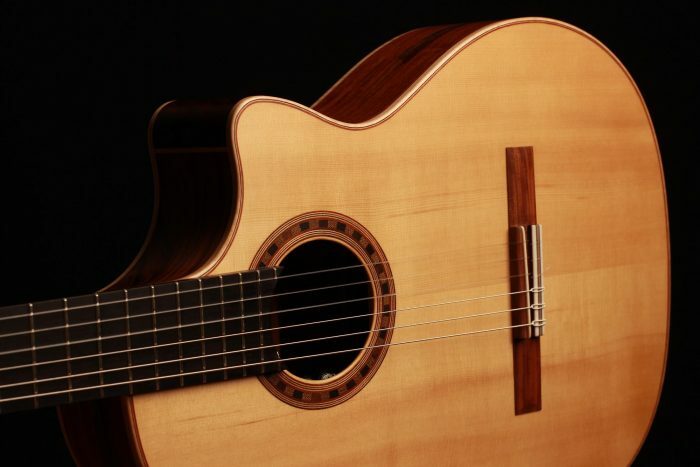 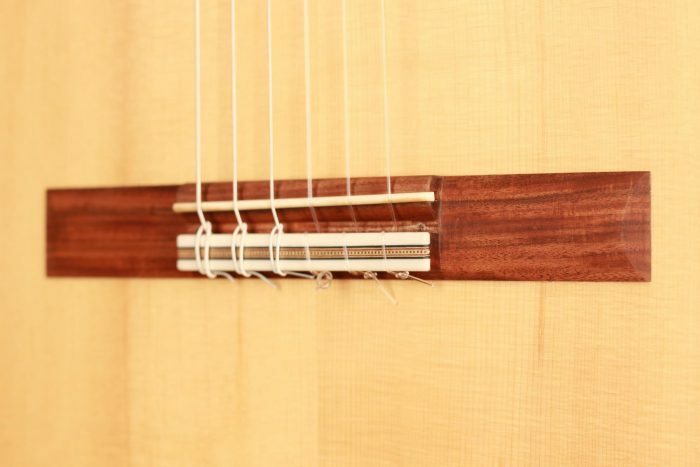 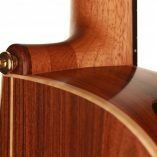 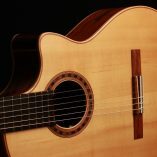 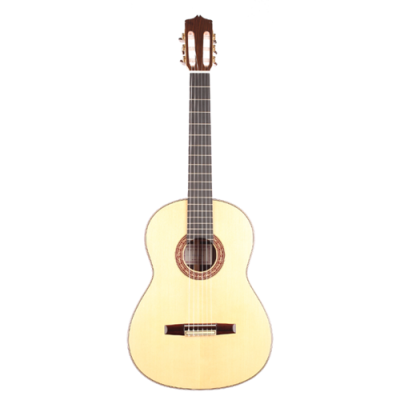 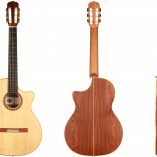 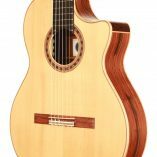 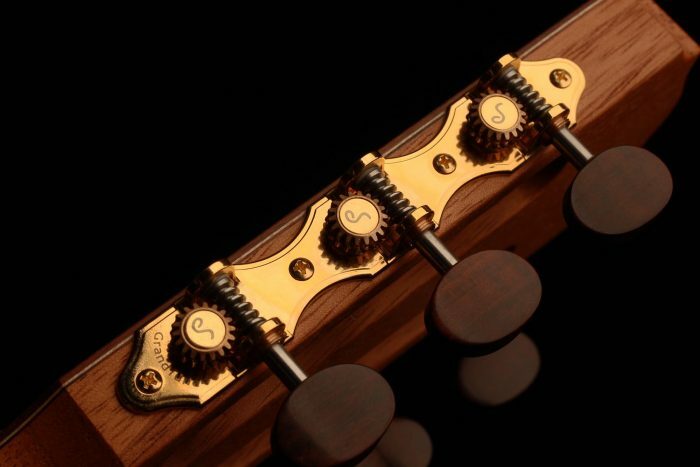 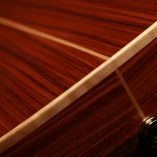 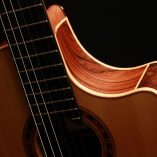 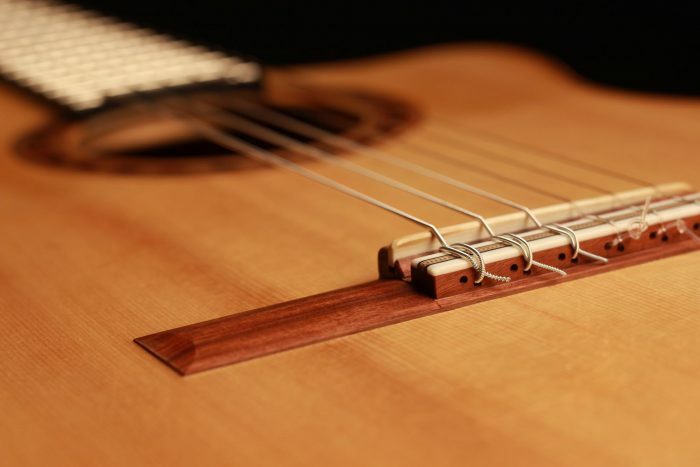 The guitar has a slightly thinner neck than traditional classical models, which makes it possible to play chords with the thumb. 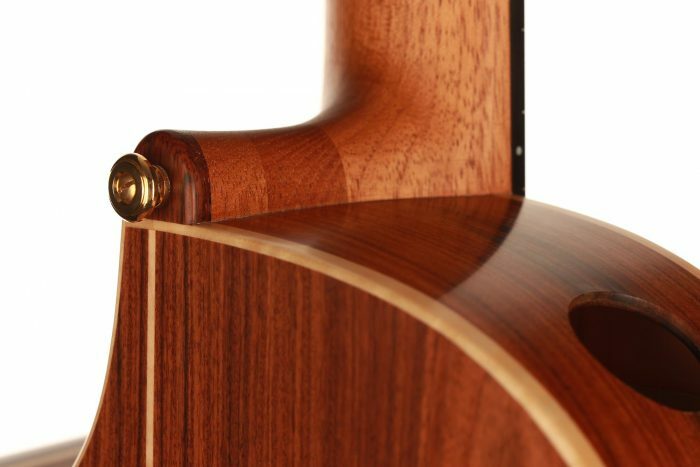 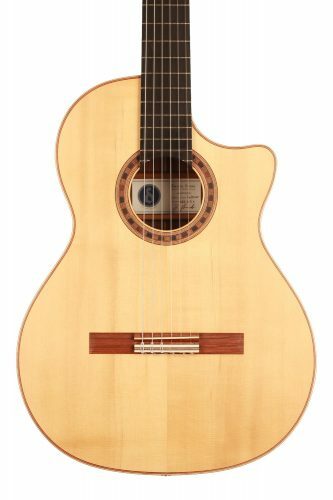 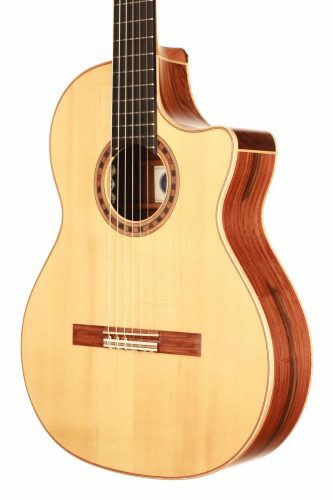 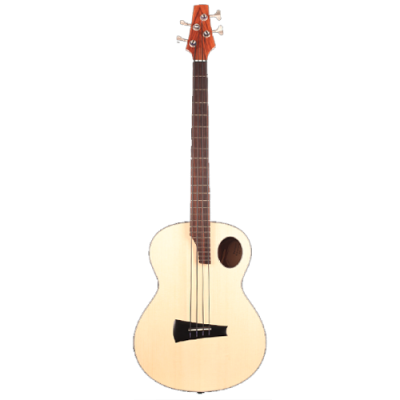 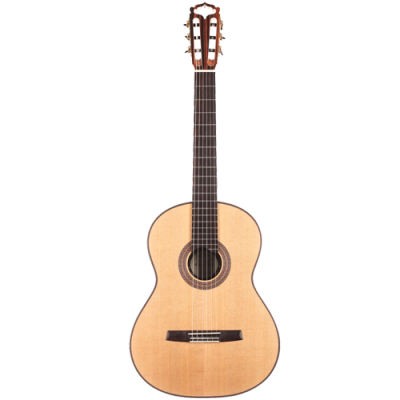 The 64 cm scale increases the playing comfort of this all-round guitar. 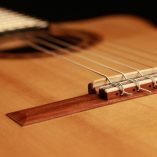 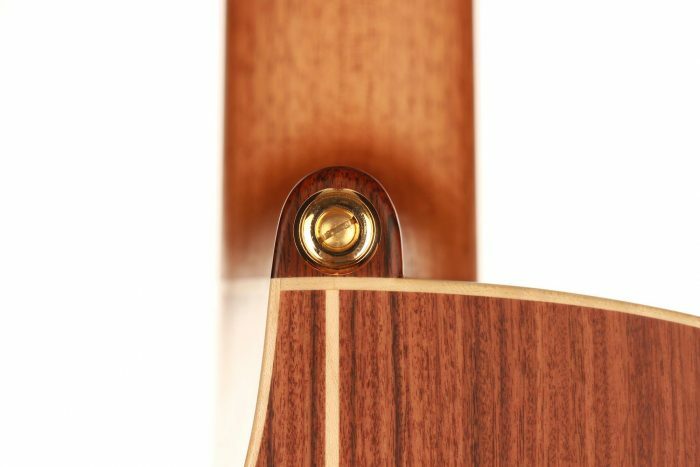 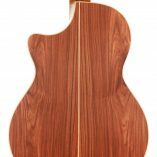 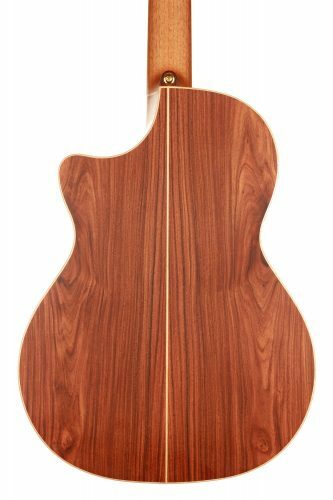 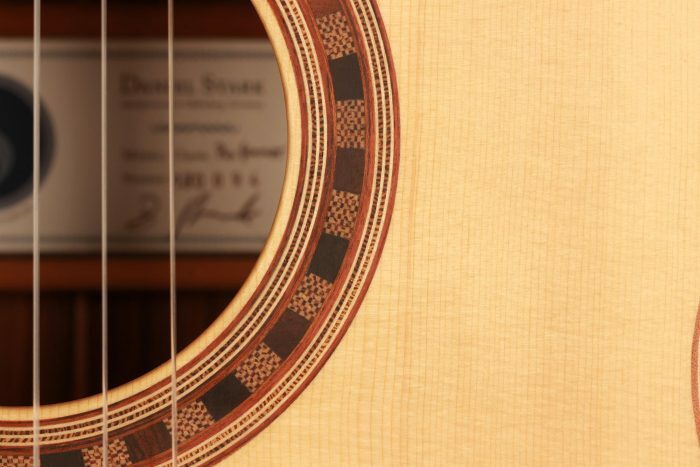 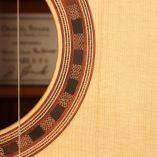 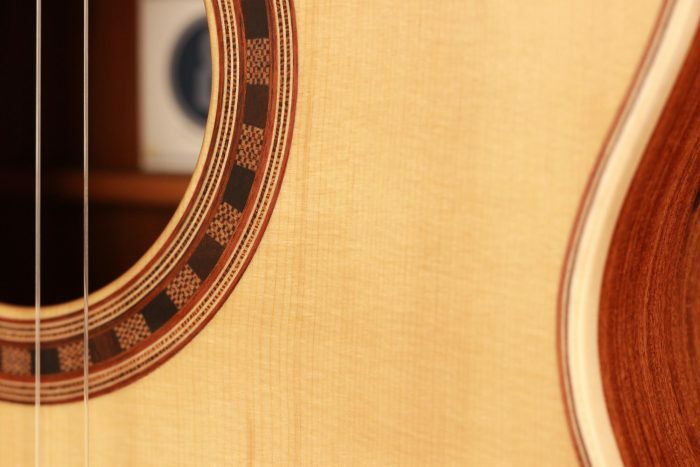 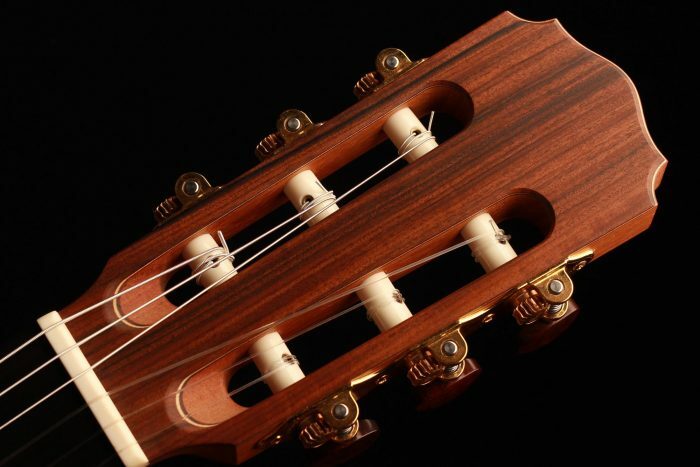 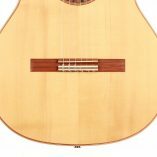 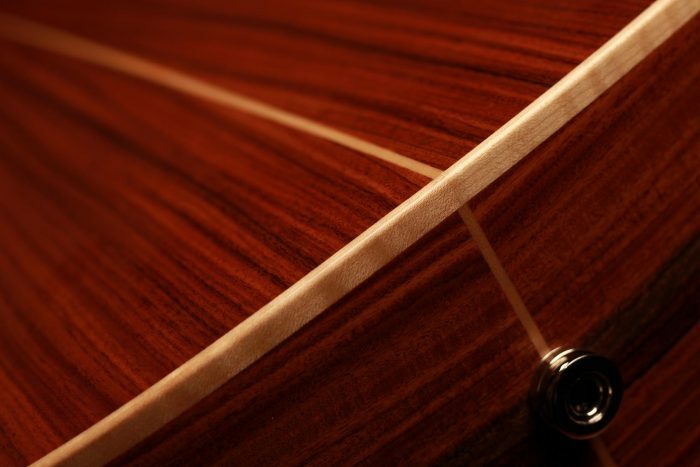 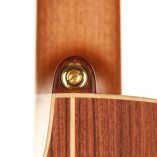 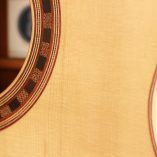 In addition, the guitar has an additional frame sound hole so that the guitarist can hear himself better when playing. 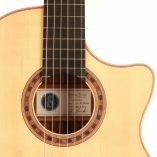 The pickup is a high-quality Carlos VIP DM, with coaxial (VIP) transducer and mini-micro, MONO output, 3 controls on the sound hole (master, sound, micro amplification). 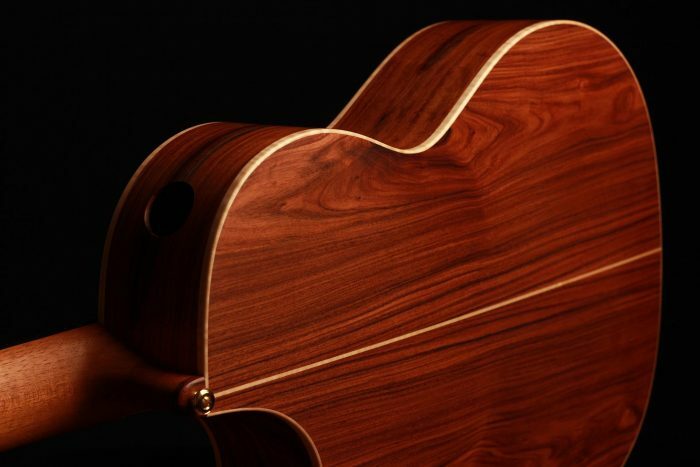 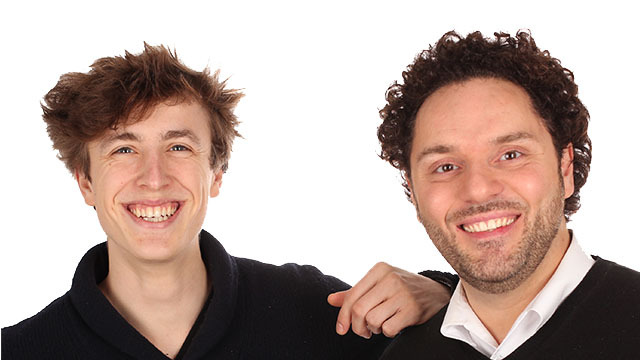 This versatile model is also CITES-free.